Honey helps you burn fat quickly. It is a great ingredient that you should make a part of your diet if you wish to lose weight. If you have a spoon of honey just before going to bed, it helps you burn fat. Also, drinking honey with warm water on an empty stomach every morning helps you increase the metabolic rate of the body and it helps you reduce weight quickly. Honey has antioxidants and bacteria-fighting properties that make it fight against infections that harm our body. When consumed regularly, honey helps in boosting our immunity. It is best to consume a tablespoon of honey early in the morning to strengthen your immune system. Honey also helps in improving your mental health by boosting your memory and concentration. Consuming honey helps you calm down your brain and it further helps in building your memory. Honey has natural antioxidants and therapeutic properties which boost your memory. Honey is a great source of energy. There are days when you need a boost to work through the day. The best way to get that boost is by having a tablespoon of honey along with water. You can also consume honey just before hitting the gym as it provides you the much-required energy! Honey is a great home remedy for a cough. 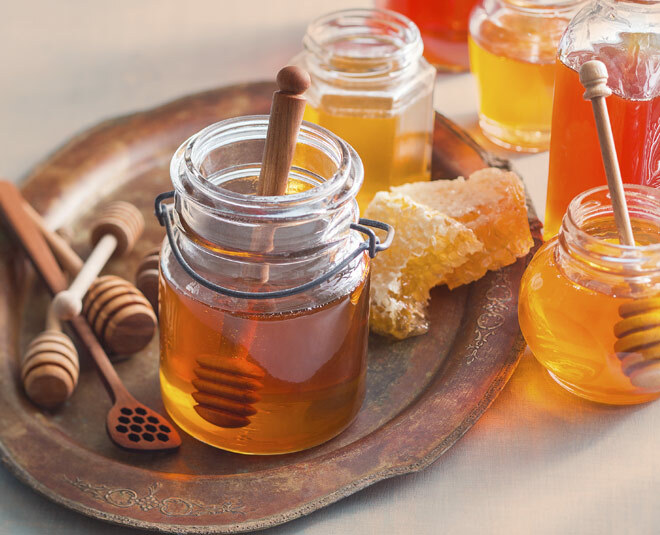 Studies show that honey can treat cough and throat irritation quickly. Honey is full of antioxidants and it is a great healer. It can help you get relief from minor burns. You just need to apply a thick layer of honey on your burn and it will heal it quickly. Please note that it doesn’t work with all kind of burns, some burns need medical attention. If you have trouble falling asleep then you should have honey with warm milk before going to bed. Not many people know that honey can help you sleep well.